After listening to my endless raves about MoMo right after that delicious lunch that I had with a long-time friend, Paul has been dropping not-so-subtle hints of us dining there soon. Finally, a trip to Robinsons Midtown in Manila gave me the opportunity to introduced him to MoMo and I was really hoping that he'd liked it just as much as I do. Knowing that I've went through MoMo's menu a dozen times before this particular visit, Paul allowed me to surprise him with my dinner choices. It was pretty obvious I knew exactly what to do, knowing that MoMo's dishes are pretty big, I decided to just get two main entress for us to share. First was a repeat of the Sweet and Smokey Hickory BBQ Rib-lets (Php. 350). 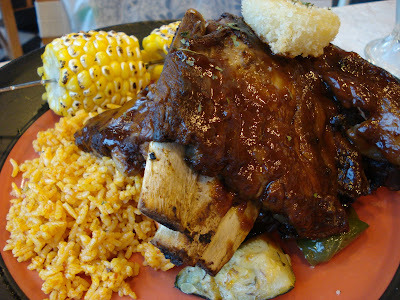 While the meat remains fork-tender, I noticed that this one was a bit drier as compared to the one that I first had at their Eastwood Mall branch. In fact, Paul had to request for extra BBQ sauce in order to get the right satisfying flavor. The next dish was actually brought about by my current craving for Mr. Jones' Beef Tapa. I ordered the Good Morning Pilipinas (Php. 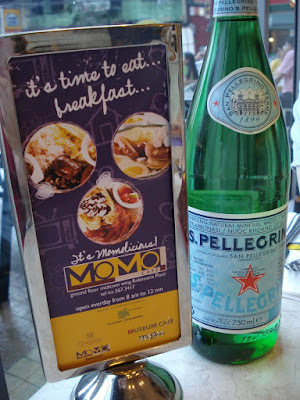 225) which is the perfect breakfast choice when dining here at MoMo. 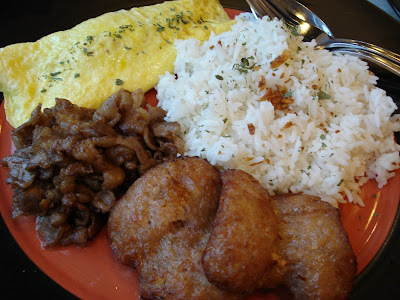 It consists of fluffy egg omelet, garlic longganisa and sweet beef tapa! While our server told me that their beef tapa is different from the one being offered in Mr. Jones, I still enjoyed the same juicy, sweet kind that will surely brighten up ones day. It has the works! 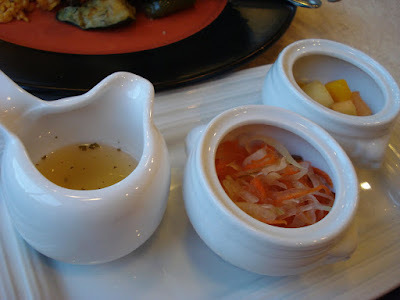 It also comes with a serving of MoMo's signature atchara, vinegar and cut-up fresh fruits. Once again, our attempt to have dessert failed as we found ourselves burping with happiness after enjoying these two entrees. 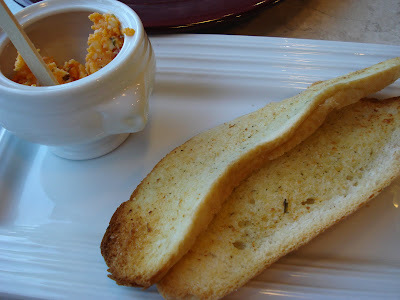 Momo Cafe has two branches located at the Ground Floor of the Eastwood Mall (900 1006 or 1007) in Quezon City and also at the Ground Floor of Robinson's Place (353 4840) in Manila.